The genocide's end did not mark the end of the killings - it spilled into Rwanda's giant neighbour, the Democratic Republic of Congo, where it has led to an estimated five million deaths in a conflict which involved several other countries and which remains unstable to this day. On the night of 6 April 1994 a plane carrying then President Juvenal Habyarimana, and his Burundian counterpart Cyprien Ntaryamira - both Hutus - was shot down, killing everyone on board. The Hutu extremists set up radio stations and newspapers which broadcast hate propaganda, urging people to "weed out the cockroaches" - code for "kill the Tutsis". The names of those to be murdered were read out on radio. Even priests and nuns have been convicted of killing people, including some who sought shelter in churches. 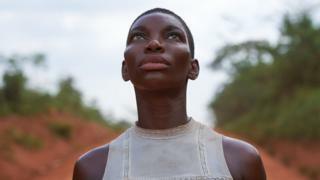 Black Earth Rising highlights the complex task of pursuing justice - in which some of the apparent heroes of the genocide, like former soldiers and generals who helped end the slaughter, could also be villains. A total of 93 people were indicted and after lengthy and expensive trials, dozens of senior officials in the former regime were convicted of genocide - all of them were Hutus. A 2012 report by the UN accused Rwanda of backing a rebellion by the M23 - a mainly ethnic Tutsi movement - which Rwanda denies. According to a UN investigation, Mr Ntaganda later built a lucrative business empire for himself during the conflict in DR Congo - reportedly collecting taxes from mines controlled by the soldiers under his command, charcoal markets and illegal checkpoints. Human rights groups also say the RPF killed thousands of Hutu civilians as it took power - and more after they went into DR Congo to pursue some of the genocidal militias. The issue sparked a diplomatic row when France accused Mr Kagame's allies of shooting down the plane which triggered the genocide - an allegation Mr Kagame dismissed as "ridiculous" and which prompted him to break off relations with Paris for three years in 2006. Relations between both countries have remained tense ever since.